Let Us Cater Your Indian Wedding! Here at Akbar’s Own Cuisine of India we understand just how important your wedding is. Everything for your special day needs to be perfect right down the food. This is where we can help make your special day even more magical. 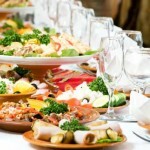 Our culinary experts will prepare the freshest food available so that your group can enjoy your special day. Our dedicated staff of professional chiefs and servers will work hard to provide you with the most mouthwatering food for your wedding. We pride ourselves in providing quality service and great food. Our traditional Indian dishes are the most authentic in the entire city of Vancouver and if you are looking for a taste of home, you can find it here. 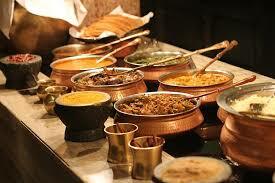 We are Vancouver’s premiere Indian restaurant and have helped many couples with their Indian wedding catering needs. 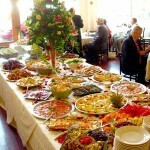 We have a full line of up to date buffet equipment that we can set up at location of your choice. If you have a large group that is going to be in attendance, we will gladly help you. We are a family run restaurant and we have been cooking amazing cuisine for many years. Our family has developed our own traditional recipes that you will not find anywhere else. This is one reason so many people have requested our services. 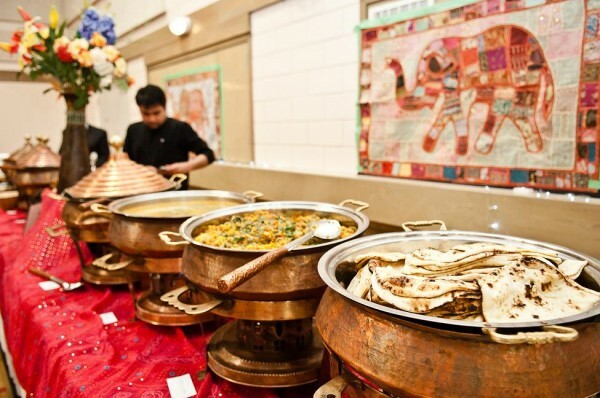 No matter what size Indian weddings you are planning, our restaurant can handle the job. We have many people on staff and will provide you with excellent service on the day of your big event. You can choose from our catering menu or tell us what you are looking for. We can handle special request and will gladly fit you into our schedule. We have a wide range of foods so finding something you love will be easy. So if you have a wedding that is in the near future, or just several months away, why not give us a call? We look forward to hearing from you! Which is the Best Indian Restaurant in Vancouver? Whether you are a local or a traveller, one of the questions you will have when looking for a place to eat is, ‘which is the best?’ And with Indian restaurants it is no different. But with so many restaurants out there, picking one from the bunch is hard. A quick search on Google for “Best Indian Restaurant in Vancouver” will bring up hundreds of results, from Google+ pages, to Yelp ratings, to links to websites of many Indian restaurants in Vancouver. Trying to seep through all of them and pick the best is tough (especially if you are on an empty stomach). Where is the time? Just because it shows up first does not guarantee a quality meal. It is truly a gamble. Indian food in Vancouver really needs no introduction. With the number of restaurants willing to treat you to a variety of dishes, a lot of names come to mind when you think of Indian food. But not all are necessarily good or authentic. Very few can pride themselves of being called the “Best Indian Restaurant” in Vancouver. Finding the best Indian restaurant in Vancouver can be a hassle, involving lots of visits to different restaurants. In between all the chutneys and naans, samosas and tandoori chickens, taste and quality can get confusing. And just like there are a number of Indian restaurants in Vancouver, there also are a variety of quality of restaurants – some serving good, authentic food, and some not so much. Save yourself the time of being treated in a place that does not guarantee to serve you quality Indian food and go for the best Indian restaurant in Vancouver. A wedding is supposed to be a very special event. The planning that undergoes this event is tremendous and can take weeks, if not months. Every tiny detail needs to be planned out so that this day comes out perfect. After all, it is one of the most important day of your life: a celebration of two people embarking on the journey of their lives, together. And everyone who is involved in making sure this event goes smoothly – friends, family members and other acquaintances – could not be more preoccupied. Indian food is no stranger to the residents of the Lower Mainland, and neither are Indian restaurants. After all, the Indian restaurant scene has been a prominent part of the culture of food in Vancouver. People know where to go to satiate their needs for a lamb vindaloo or chicken curry. But among the plethora of restaurants and spots to eat Indian food in Vancouver, how do you discern the good from the bad? rfect, with the right blend of spices, tastes and textures. That is why you should leave it up to professionals to take care of your food services. While you are busy enjoying your big day or event, caterers are working hard behind the scenes, making sure everything is right. Catering companies have teams of professional people that will take care of all the nitty gritty, and turn your event into a success.